"If we are to remain a free nation, we must be ever-vigilant to threats from without and corruption from within. Regardless of what you my have heard, there is no such thing as a free lunch. Our forbears struggled, sacrificed, fought and died for the freedom we enjoy today. Nobody gave them their honor as part of a government entitlement program. They earned it with courage, sweat, blood and tears. "As the Obama administration unfolds to reveal its true nature, we face a new challenge which will test Americans as never before. Not on the battlefield this time, but in the halls of Congress where our unalienable rights, granted by God and guaranteed by our Constitution, will be tested by those who would undo the accomplishments of 200 years of freedom without a backward glance. "Liberty is ours to lose. Don't let the sacrifices our Nation has endured be in vain." All it takes for evil to triumph is for good men to do nothing." "We don't just build the best M1's for the money...we build the best M1's...period!" If you are tired of paying your hard-earned money for half-assed quality, you've come to the right place. National Match Armory is neither quick nor cheap...but then we don't try to be. Our goal is quality , first, last and always. Does real quality take longer and cost more? Our clients are looking for the best and are willing to wait for it. Our chosen task is to provide it. The PERFECT CURE For CMP "Specials"! Be Ready To Be An Effective Rifleman When Jihad Comes To Your Town! See the newly updated web page for particulars!!! It's Official! Twelve Years In A Row! 2009 Camp Perry National Matches !!!! "National Match Armory sets the standards of accuracy, fit and finish to which all others are compared." We are universally recognized for crafting the finest restored, target and match quality M1, M1A and 1903 Springfield rifles anywhere. 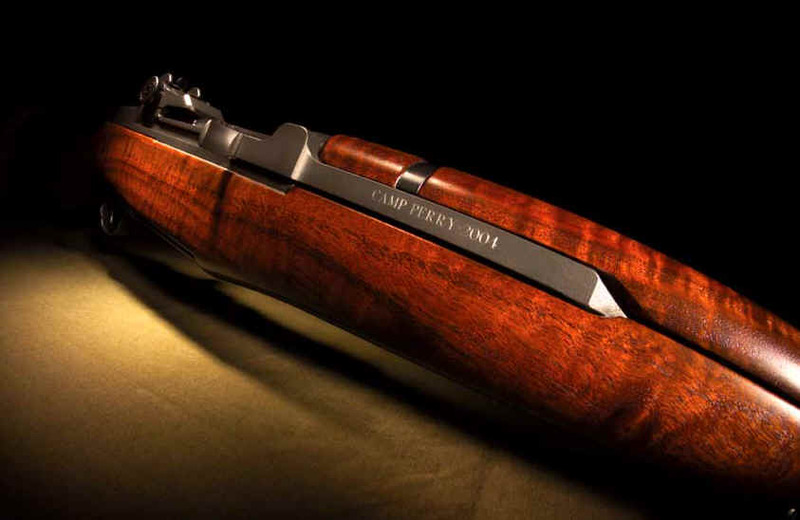 We have been selected for twelve straight years to create the highly coveted presentation rifles for the prestigious annual Camp Perry National Matches. We are best known for our match quality target M1 rifles which are available at three levels: "John C. Garand Match", "Expert Match" and "High Master Match". 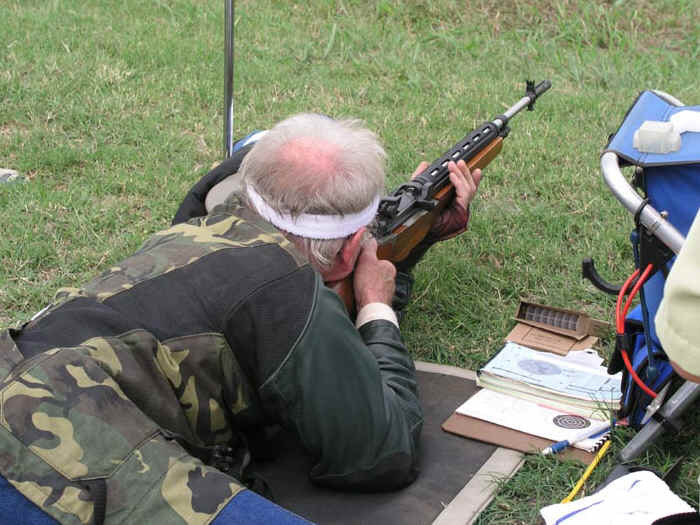 National Match Armory is a one-man operation. Our workmanship is of the very highest quality. Our prices and turn-around times are in keeping with the superior quality of our old world craftsmanship. We also shoot what we build, locally, regionally and nationally, for recreation and as part of our never ending program of research and development. Please see "The National Match Armory Story" at left to learn more about the background and accomplishments of National Match Armory. If you are interested in purchasing a National Match Armory M1, M1A or 1903 Springfield rifle - or having your rifle upgraded - please click on the appropriate web page listed on the left side of your screen. But, please, take the time to navigate our extensive website completely, from front to back. It contains a wealth of information about who we are, what we do and the excellence of our products and services. When you have finished, please give us a call and let us know how we can make the quality of your shooting experience better. 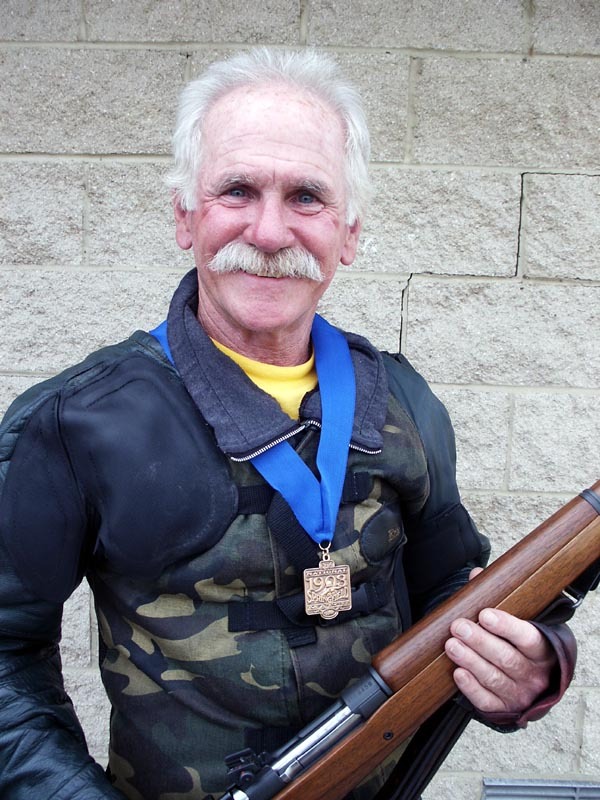 National Match Armory: Simply the best. Home of the Double-Lugged* M1 Garand NM"
The Double-Lugged "High Master" M1 Garand NM is the flagship of our fleet. It is the strongest and most accurate M1 match rifle...ever. Love Potion™ Bore Conditioner and Action Lube: The Champion's Edge! New phone hours: Tues - Thurs 10am - 4pm ... please! Please keep all correspondence short and to the point. We will respond in kind. Thanks! Thanks for visiting www.nationalmatcharmory.com. Come back soon.